What interests me about making button badges is pushing the boundaries between the related decorative areas of costume jewellery, fabric art and embroidery. To me the mundane button badge a throw away item that has been used for decades to advertise products and companies still has its full potential to be realized. All that is needed is the imagination to re-evaluate this humble item and with an open mind to explore ideas in a wide variety of materials and techniques. The badges you make in the Stitch Club Workshop can be decorative and worn in groups and clusters to added a theme/colours to a plain tee shirt or jumper. They could also be for a special occasion i.e. birthday, anniversary, new baby etc. and be to attach to greeting cards. They could also be miniature works of art that play with the idea of combining different surfaces and techniques and like the exquisite miniatures of Nicolas Hilliard (1547-1619) are objects in their own right. For a little girl I know, whose name is Penny, I made a badge based on the old pre-decimalisation Britannia coin and added it to her Xmas card. This same little girl has her birthday near Halloween. I made her some luminous badges and added these to her birthday card- I should perhaps add Penny was very pleased with them. Barinder uses photoshop to create her designs, in many cases taken from flowers photographs she has taken herself and sometimes added drawing to. She is very aware of the importance of using colours that are fashionable and she gives pantone colour references to her printer. She works with her clients, listening what they would like and fulfilling their dreams. Here is an example where horses and bright colours were important to the client. Her scarves are available in the Craft and Design Centre in Sleaford. 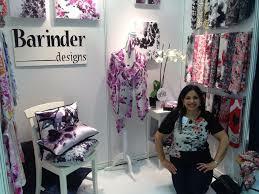 Barinder Gahir left her first career to pursue her dream and passion of creating beautiful fabrics. Since graduating from Loughborough University in 2009 with a degree in Textile Design she has been working as a freelance designer specialising in print. 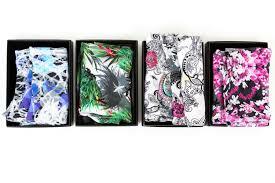 Now an accomplished printed textile designer her designs have sold around the world to brands such as Calvin Klein, DKNY, Coast, The White Company, Victoria's Secret and Lipsy amoungst many others. She has always drawn inspiration from nature especially from her love of flowers and uses her own photography, drawings and mark making to produce unique and original bespoke luxury scarves, cushions and wall art. All her printing is done in the East Midlands and her entire collection is hand made from her Nottingham based Studio. I’ll bring loads of bits as usual and my embellisher and drum carder which people are able to use and dry felting needles. If anyone has an embellishing machine or drum carder bring it along. You don’t have to have all these. I will bring plenty of bits as well. Depending on the number of embellishers or people we will try and makes a small panel that can be inserted in a bag or book cover.